Influenced by the discoveries of cognitive science, many of us will now accept that much of our mental life is unconscious. There are subliminal perceptions, implicit attitudes and beliefs, inferences that take place tacitly outside of our awareness, and much more. But we are apt to identify ourselves with our conscious minds. People who take the implicit attitudes test, for example, are often horrified to discover that they harbor racial prejudices or gender biases they were unaware of. If they accept the science, they are forced to believe that these attitudes are in some sense part of themselves. But they are an unwelcome part, an alien part, something to be got rid of if possible. We are also apt to think that it is our conscious minds that are in control, much of the time; or at any rate, that our conscious minds are capable of taking control. When we pause to reflect, and act on our reflections, it is our conscious thoughts — our conscious beliefs, goals, and decisions — that get to control what we do. Or so we think. But this sense of self-control is an illusion. In reality our conscious minds are controlled and manipulated by unconscious processes. ‘Untitled’, 19th July 2015, by Rachael Carruthers. Image used with permission. The reason is simple. Beliefs, goals, and decisions are never conscious. Rather, these states pull the strings in the background, selecting and manipulating the sensory-based contents that do figure in consciousness. Our conscious reflections are exclusively composed of sensory-like events such as visual images, episodic memories, inner speech, and so on. But because we swiftly and unconsciously interpret these events as manifestations of corresponding beliefs, goals, or decisions, we have the impression that we are consciously aware of such thoughts. You can, as it were, hear yourself as deciding to do something when the appropriate sensory-like episode — “I’ll do it now”, say — figures in consciousness. But your access to the underlying decision is just as indirect and interpretive as is your access to someone else’s decision when they say such a thing out loud. In our own case, however, we are under the illusion that the decision is a conscious one. What are my grounds for making these surprising claims? In short, the science of working memory. This is the sort of memory that is involved when one needs to keep in mind an image or a phone number to report or write down a while later. It is also the short-term memory system in which episodes of inner speech take place. Indeed, many in cognitive science think that working memory is the system in which all conscious episodes play out. It is sometimes described as a “global workspace” because its contents are simultaneously available to many different faculties of the mind (for forming explicit memories, for drawing inferences, for guiding reasoning and planning, and for reporting in speech). But working memory is a sensory-based system. It uses so-called “top-down attention” to activate and sustain imagistic representations in conscious form. There is no place within it for purely abstract non-sensory states such as beliefs, goals, or decisions. Consider a particular example. You are studying for a French class, trying to learn the meanings of the designated words. But all the while images and memories are being sparked unconsciously by aspects of what you read, see, and hear. These are initially unconscious, but are evaluated by the bottom-up attentional network for relevance to current goals and values. These ideas then compete for top-down attention to enter working memory and become conscious. At a certain point you take a decision (unconsciously) to switch attention from the French words to an image of yourself on a sandy beach, with palm trees, blue sky, and green sea. Before you know it you are drifting in fantasy, while your goal of learning vocabulary struggles to regain control of attention. At a certain point it wins the competition and you snap back, tell yourself off for time-wasting, and focus your attention on the textbook again. In this manner our conscious minds are continually under the control of our unconscious thoughts. We decide what to pay attention to, what to remember, what to think of, what to imagine, and what sentences to rehearse in inner speech. There is control, of course, and it is a form of self-control. But is not control by a conscious self. Rather, what we take to be the conscious self is a puppet manipulated by our unconscious goals, beliefs, and decisions. Who’s in charge? Well, we are. But the “we” who are in charge are not the conscious selves we take ourselves to be, but rather a set of unconsciously operating mental states. Consciousness does make a difference. Indeed, it is vital to the overall functioning of the human mind. But a controlling conscious self is an illusion. Header image credit: “Museo Internazionale delle Marionette”, by Leonardo Pilara. CC by 2.0 via Flickr. Peter Carruthers is Professor of Philosophy at the University of Maryland. He is the author of numerous books and articles in philosophy of mind and cognitive science. 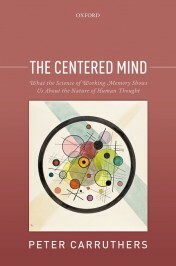 His most recent book is The Centered Mind: What the Science of Working Memory Shows Us About the Nature of Human Thought, published by Oxford University Press. I thing I understand some of this perspective. I don’t really have a problem with the initial, primary self being unconscious. But, I think room has to be left for the authentic self as the product of the exercise of, as subtle and evasive as it may be, free will. Living into ones authentic self through the hard fought exploration with free will is the mature stage of our species. Imho. There’s a nurture and a nature and probably many other superficial unconciouse strings holding us together for the first 3/4ths if our lives, but the opertunity exist to cut the strings and stand on our own should we so choose. And we are not fully human Imho until we have. Wes, from the perspective of the view I defend, “cutting the strings” is not an attractive option. That would just mean that your conscious inner life was no longer under intentional control. And the only way in which it could happen in the case of inner speech, would be if inner speech became reflex-like (like a knee-jerk), or became automatized and under the control of environmental affordances, like your movements while driving “on autopilot”. That would not, in my view, make one become more fully human. “Cognitive science” presumes the self. It’s the creation science of psychology. Neuroscience -actual science- has confirmed what the the arts have described since the dawn of recorded irony, first under the noses of theologians, priests, philosophers, and kings, and then in open mockery of them, and all other pedants: that our actions are driven causes under the surface. “I deny free will!”. Whaddya mean “I”, Kemosabe? “Postmodern” philosophers write bad poetry and analytics spout oxymorons. The underlying melodrama is the same. Patrick, although I don’t argue as much in the book, the view I defend is of course compatible with a variety of so-called “compatibilist” conceptions of free will. On these accounts, decisions and actions can count as free provided they would have turned out otherwise if certain psychological factors had been different — for example, had one wanted otherwise, or had different beliefs. How can one’s access to our brains unconscious processing be any where near as “indirect and interpretive” as our access to another person’s unconscious-to-us processing? You seem to imply there is no connection whatsoever between what goes on unconsciously in the brain (in principle? or because empirically studying consciousness shows this?) and consciousness. You seem to suggest consciouness, even access consciousness, is epiphenomenal in a very radical way. I cannot see what evidence work in global workspace (what work would this space do in your theory?) would preclude ANY access to unconscious processing. Surely it possible that it bubble up into consciousness and that conscious thought could bubble “down” as it were. “Your access to the underlying the underlying decision is . . . indirect and interpretive.” Hence (we’re urged to conclude) the underlying decision isn’t conscious. But why isn’t that just another way of BEING conscious? Some things (the things Peter locates in working memory) are DIRECTLY conscious and other things (the things Peter says aren’t conscious at all) are “INDIRECTLY or INTERPRETIVELY” conscious. I’m struck by the resemblance between Peter’s argument and an old argument for skepticism. “Your access to the erupting volcano is indirect and interpretive. Hence the erupting volcano isn’t perceived.” One further observation: Peter writes that “in our own case, . . . we are under the illusion that the decision is a conscious one.” Just for the record, I’m under that illusion in the case of others too! I’m not CONSCIOUS of their decisions, of course, not even in the indirect or interpretive way I’ve tried (very inadequately, I admit) to make room for. But I know that others make decisions, and I reasonably infer (from their behavior, rather than from their inner speech, of which I’m not conscious in ANY sense) that their decisions, like mine, are sometimes conscious to them, as mine sometimes are to me. Is this really an accurate paraphrase of whatever compatibilist accounts you have in mind? I assume that a person’s psychological states supervene on the person’s physical state and that at any point in time the physical state is partially determined by the person’s previous life experiences. Behavioral dispositions are part of a person’s physical state. Hence, it may indeed be the case that a person’s having had different life experiences would have resulted in different current behavioral dispositions and different psychological states. But I don’t see why the fact that some psychological states and some behavioral dispositions covary with changes in life experiences says anything at all about whether or not those behavioral dispositions are “free”. Here I see faint echoes of Davidson’s Swampman argument to the effect (as I understand it) that psychological differences don’t supervene on physical differences. Despite my best efforts, I’ve never understood that claim. Perhaps I have a blind spot with respect to this topic. Ken, two points. First, the best-validated theory of consciousness out there at the moment is the “global workspace” theory of Bernard Baars, Stan Dehaene, and others, with lots of experimental and theoretical support. This is also the theory that matches our intuitive sense of what a conscious thought is (or would be, if there were any). A conscious decision, for example, would be an event that is available for reporting, which gives rise to long-term memories (so that it can be reported or acted on later), which may give rise to an affective response, which is available to figure in further practical reasoning, and so on. In short: is it globally available to a wide range of different mind/brain systems. But the evidence shows, I think, that no decisions (or other non-sensory states) ever have these properties. Second, I agree with you that we can perceive the mental states of others (and of ourselves). See my recent paper at: http://faculty.philosophy.umd.edu/pcarruthers/Perceiving Mental States.pdf But the point is that our access to our own mental states is no different in kind from our access to the mental states of other people. I don’t think that my perception that you have just reached a decision makes your decision a conscious one. So why would my perception that I have just reached a decision make my own decision conscious, either? I can’t help it but be very skeptical when a philosopher uses the word “never” against a commonly held belief without much evidence as it appears to be the case in this article. The word is rarely correctly used in any context. Granted commonly held beliefs are sometimes wrong. But they require substantial evidence to overturn. The examples and evidence given are so flimsy and seemingly irrelevant that it is baffling how the author came to support such a conclusion. Please don’t feel obliged to reply to this. Obviously I need to read your book! On my blog I have a double episode on this. In the first part, the conclusions are pretty much the same as in this post. In the second part, the conclusions are reversed: I.e. there is space for free will and personhood beyond nature/nurture. Hopelessmisanthrope: I did not pretend to provide evidence for the view I was sketching in the blog-post. For that, I am afraid you will have to read the book. But it is worth remarking that commonly-held beliefs are often wrong, especially when they assume the form of a general theory. Cartesian dualism and Aristotelian physics come especially to mind. Both have been endorsed (whether tacitly or explicitly) by the vast majority of humans who have ever lived. But we now know that each is deeply mistaken. Another way to put the point: that your decision is available for reporting, to give rise to memories and emotional reactions, and so on, doesn’t mean that it is IMMEDIATELY available in the way required for it to be access-conscious. On the contrary, the decision only has these effects mediately, through the impact that it has on sensory-based items that get entertained consciously in working memory. A number of posts seem to have bubbled up interspersed among ones I had seen previously. Let me reply to a couple. Flaffer — I certainly don’t think consciousness is epiphenomenal. On the contrary, it plays a crucial coordinating function in the minds of humans and most other animals. It is only when information becomes globally broadcast (= becomes access-conscious) that it is made available to a wide range of down-stream systems for drawing inferences, forming memories, evaluating, and so on. This enables all those systems (and thereby the organism as a whole) to become coordinated around a common focus. However, the distinctive feature of the global-broadcasting mechanism, in my view, is that it is sensory based. So a nonsensory goal or decision can’t be broadcast itself, though it might cause a sensory-like event (such as a sentence in inner speech) which is so broadcast. Charles Wolverton — I am a physicalist about the mind; no doubt about that. But the intuition behind compatibilism is something like this: responsibility isn’t about being an uncaused cause of one’s actions. Rather, it is about one’s actions depending on one’s psychological states in the normal way. That is why the counterfactuals matter. If one’s action depends on one’s psychology, then had one’s desires or beliefs been different, one would have acted differently. I agree with Charles Wolverton when he says “…a person’s having had different life experiences would have resulted in different current behavioral dispositions and different psychological states. But I don’t see why [that] …says anything at all about whether or not those behavioral dispositions are “free”. Exactly! But that is the argument compatibilists retreat to. IF I wanted to go to the movie I would. IF pigs had wings, then they could fly. Okay, so what? Eric Schwitzgebel has tried to reify propositional attitudes as collections of behaviors – context dependent dispositions – that are consistent across a variety of contexts. Eg, if in most contexts one acts as if proposition X were true, then one “believes” X, ie, holds X true. I consider that to be a reasonable way of looking at the propositional attitudes (altho I think it an unfortunate mixing of the physical and psychological vocabularies). But from that perspective, such psychological states (ie, PAs) are defined in terms of actions. Hence, the “if … then” goes the other way and the “dependence” is definitional, not causal. I’m bearing down on this because when people who are so far out of my league (eg, you and Davidson) argue something that to me seems so obviously wrong, I have to assume I’m missing something significant – and I’d really like to know what it is. But look, the question of responsibility for our actions is not what the book was about. I’m happy to let the chips fall where they may. The book is about the causes and contents of the stream of consciousness. And since it isn’t grounded in intuition-mongering, but in the science, I am unmoved if the result turns out to be counter-intuitive (as of course it is). Yes, if I have to solve a difficult problem, I’ve found the best way is to clear my mind and go into a trance as it were, until the answer pops out. Trying to use effort to solve a problem is almost always counterproductive, although the presented solution may require a lot of effort to consumate. Thus, I can look at my finished creative effort and feel “I” didn’t really do it; it feels more like I channelled the thing. So, from this, I take it that my free will is below consciousness in that I do not know the exact reasons for my decisions. Thus, religious ideas of “sin” seem kind of stupid–they are a mistaking of the mind for a top-down organization which goes wrong rather than a bottom-up situation where the exact moral effect of an action cannot be known in advance. Anyway, thanks for expressing these concepts so clearly. I wanted to add that a consequence of these ideas is the question how we might exercise some control over the quality of whatever bubbles up into consciousness. What could it possibly mean if most of the content is annoying and unpleasant even when rationally we can see no external cause sufficient to cause this level of annoyance or pain? For instance, one day we were enjoying the solitude, but today we are not enjoying the loneliness? What gives? My insight was that the content was actually of no consequence, but the general feeling tone reflected the state of nutrition. Why would newly agriculturalized communities feel that God had or threatened to abandon them? Maybe too many carbs raising fasting blood sugar? There seems to be a huge resistance to thinking this way.